Most of the professionals these days keep on searching for best monitors that can ensure them high-quality results with easy operations. The market is currently loaded with so many cheaper, mid-range as well as high-end monitors, so it is quite difficult to pick the right 4K monitor for your professional needs. There are so many features and specifications that you need to check before making a big investment, it is important to go throw reviews of top rated color grading monitors to avail best information. 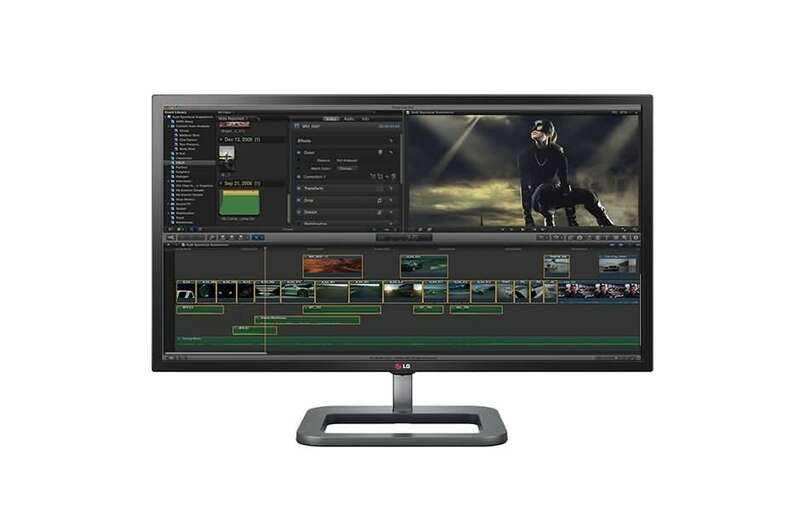 The article below contains details about 5 most popular 4K monitors that are widely used for color grading applications and are common for visual industry applications. Whether you are a professional colorist or need to get started with this impressive career option, these monitors can deliver you stunning results. So keep reading and choose your best buy product. With the new version 9 release, the Filmora9 video editor now can handle the 4k UHD video footage easily. After importing 4K videos, you can create a proxy copy of the media for editing smother while without affecting the final resolution. For those whose computer isn’t powerful enough to previewing 4K videos, you can reduce the resolution to half or even 1/6 for better previewing. Download the free trial version of Filmora9 video editor below and try it today. Gamut and Gamma: It deals with the complete range of colors as well as Luma capabilities to ensure accurate display. Currently, the most popular one is Adobe RGB whereas some monitors are designed with DCI-P3 and Rec 709 or 2020 rating. Black Levels: Colorists always need deep black details without those muddy greys that are always annoying. This setting leaves major impact on contrast. Calibration: Professionals need to calibrate their monitor for different applications and it can be done with built in tools, dedicated software or using external probe. A good quality monitor offers better customization options for calibration. This widescreen monitor is designed to serve viewers with 4096x2160 resolution level where enhanced pixel density ensures impressive clarity for each frame. You will be amazed to see its color sensor delivery that maintains settings for pre-determined intervals. This display comes with Adobe RGB color space so that professionals can have higher color accuracy for their color grading needs and uniformity at corners is maintained with EIZO’s advanced DUE Equalizer technology. It takes only few minutes to warm up and then holds the pace for your needs. This monitor is well equipped with HDMI inputs and DisplayPort so that users can maintain better connections with external world inputs. This backlit LCD monitor supports 1.07 million colours and 1,500:1 contrast ratio maintains stunning viewing experience. Incredibly designed CG248 IPS monitor promises 3840x2160 resolution levels for greater clarity and Adobe RGB color configuration ensures perfect color distribution over screen. Edges are maintained to offer great color uniformity with the help of EIZO’s impressive DUE equalizer technology. You can get your monitor ready within 3 minutes of its switching time and it can be used with number of useful computer configurations with its HDMI and DisplayPort connectivity options. The contrast ratio goes up to 1,000:1 level and response time is maintained with 14ms rating. This monitor offers support to 1.07 billion colors whereas viewing angles are wide enough with 178 degree vertical and horizontal support. 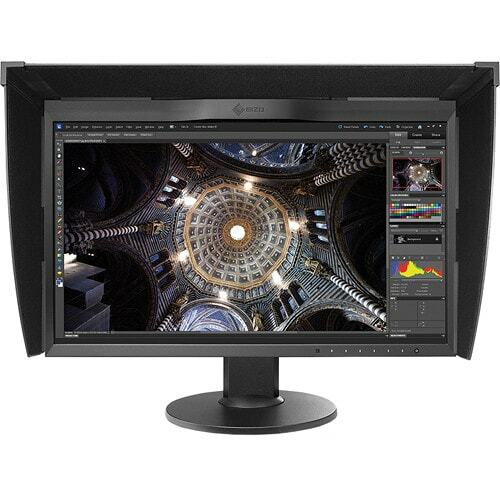 This is one of the best monitor for popular applications like color grading, compositing, VFX, 3D CGI and 2D editing. The chromaticity and brightness details are well managed for complete screen where DUE offers perfect balance over temperature variations. 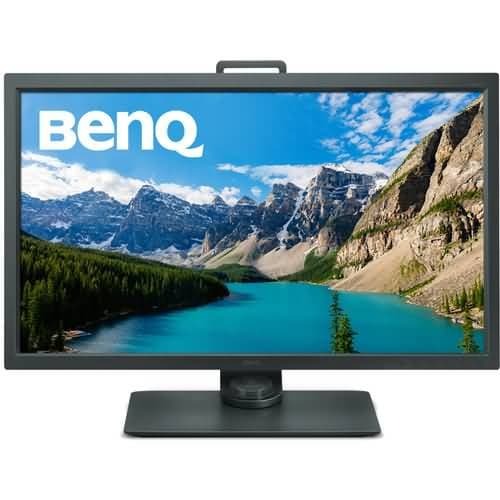 BenQ SW320 incorporates both sRGB and Adobe RGB technology for enhanced color management. Also, it offers great control over color accuracy with HDR that works for ensuring uniformity in brightness and luminosity. It maintains display perfectly on every corner of the screen. The viewing angles are wide enough with 178-degree rating for both vertical and horizontal positions. Dynamic picture quality is maintained with its 1,000:1 contrast ratio and 5ms response time. It offers high-quality SelfCalibration module so that it can offer automatic calibration service for your display screen as per the need of your application. This monitor also supports advanced white and black film effects, so you can create awesome projects with such detailing. There is a hotkey puck that maintains perfect switching between Black/White, sRGB and Adobe RGB mode. You can easily customize details for contrast and brightness as per your professional requirements. This monitor maintains 178 degree viewing angle for both vertical and horizontal positions and 8ms response rate. The brightness rating goes up to 300 cd/m2 and contrast can be maintained up to 16:9 aspect ratio. There are wide options for PC connectivity like USM ports, DisplayPort, mini Display Port and HDMI connection. Further, the display can be easily customized for variable swivel, height and tilt settings. Some of the most incredible technology additions include anti-glare screen, LEF backlights, Mercury- free display glass, language selection options, pivot rotation, in-plane switching, low halogen rating and energy start certification. This monitor is perfect choice for your professional color grading requirements. It is now possible to streamline 4K content with impressive details on 31MU97 monitor. This product is designed to offer 17:9 aspect ratio and resolution can be adjusted to 4096x2160 level. 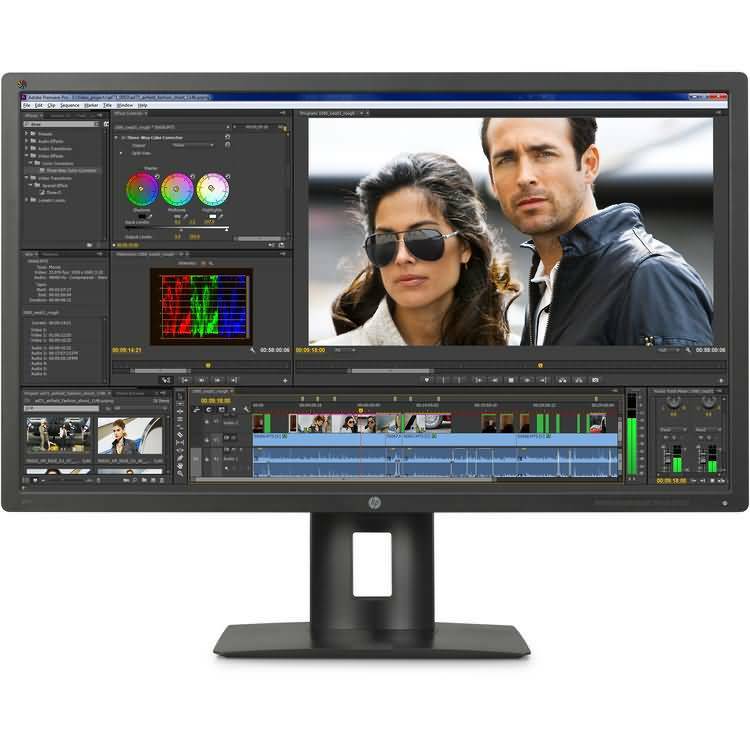 Professionals recommend this monitor for photograph, video editing needs and it also provides great assistance for graphic design programs. It is much easier to use this monitor for making connection with window and Mac based computers via DisplayPort, Mini DisplayPort and HDMI connection options. The USB ports can be used to make connections with hard drives and tablets. 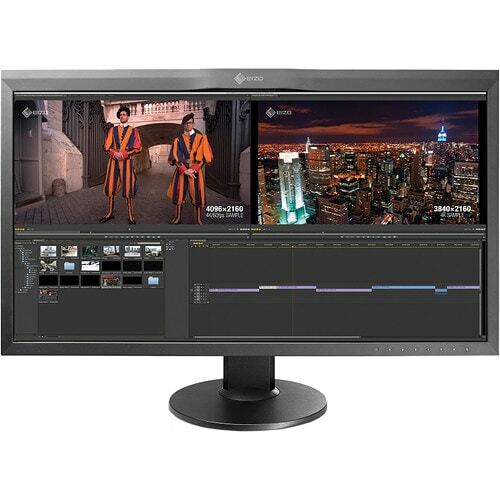 This monitor offers great service for post production editing tasks for VFX visual effects, wide range of computer graphics and digital intermediate tasks of visual industry. LG Digital Cinema monitor offers effective management for saturation, contrast and other color details.